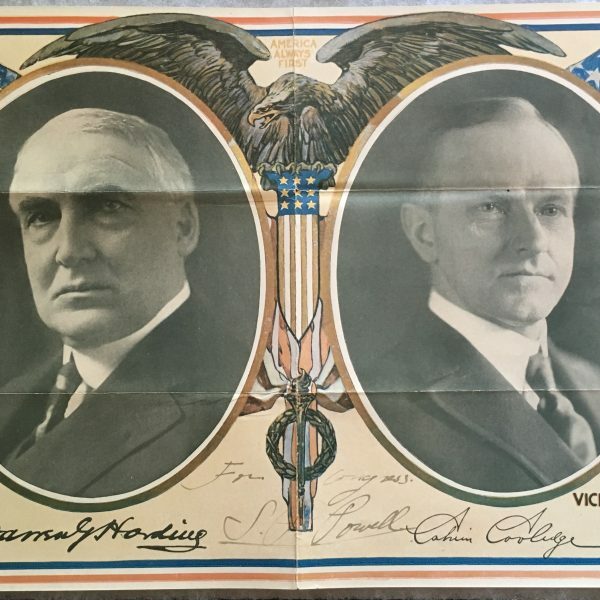 1920 Harding Coolidge Campaign Poster. Measures 11 1/4″ by 16-1/4″ and is in good condition. 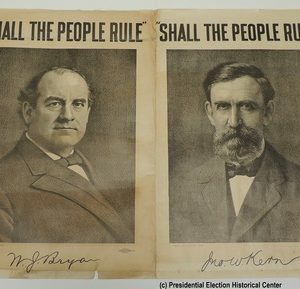 Poster was framed and was folded. 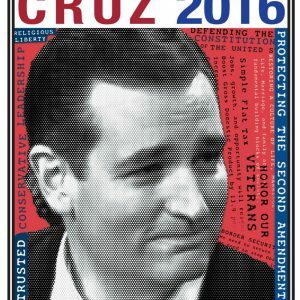 Will ship folded. 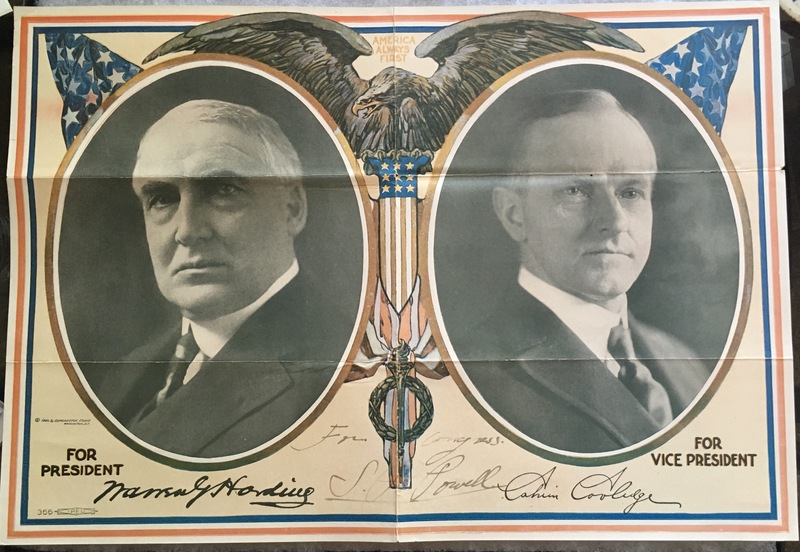 Multi-colored, jugate campaign poster promoting Warren G. Harding for president and Calvin Coolidge for vice president, featuring oval portraits of the republican candidates, 16.125 x 11.1875 in., matted and framed, 21.5 x 17.5 in. Published by Edmondston Studio, Washington, D.C., 1920.